The Uganda Football Association (Fufa) is being investigated for alleged money laundering by the Uganda Financial Intelligence Authority (Ufia). Sydney Asubo, executive director of Ufia confirmed the news to BBC Sport. "We had frozen their [Fufa's] accounts last week, but we re-opened them on Wednesday as we continue to investigate deeper into the matter," said Asubo. 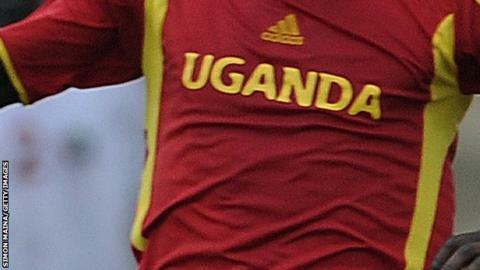 Last week the Uganda FA was thrown into panic after discovering their accounts had been frozen. "We are happy that our accounts are now operational," Decolas Kizza, the Uganda FA's head of finance told BBC Sport. Kizza confirmed they had written to Ufia to re-open the accounts so that they could operate normally. Ufia's Asubo explained that they re-opened the FA's accounts because they did not want to cripple the FA's activities. "Yes we had frozen the accounts including those for other football bodies that deal with the FA," added Asubo who did not want to go into further details whilst their investigations are continuing. The Ufia is a government agency established by the Parliament of Uganda in 2014 to monitor, investigate and prevent money laundering in the country. It is also responsible for the enforcement of Uganda's anti-money laundering laws and the monitoring of all financial transactions inside the country's borders. Asan Kasingye, the head of Interpol in Uganda disclosed last weekend that the FA accounts had been frozen through their Criminal Investigation Division (CID) Economic Crimes Division of Police. Besides government support, the Uganda FA has also received US$1,050,000 million from football's world governing body Fifa.